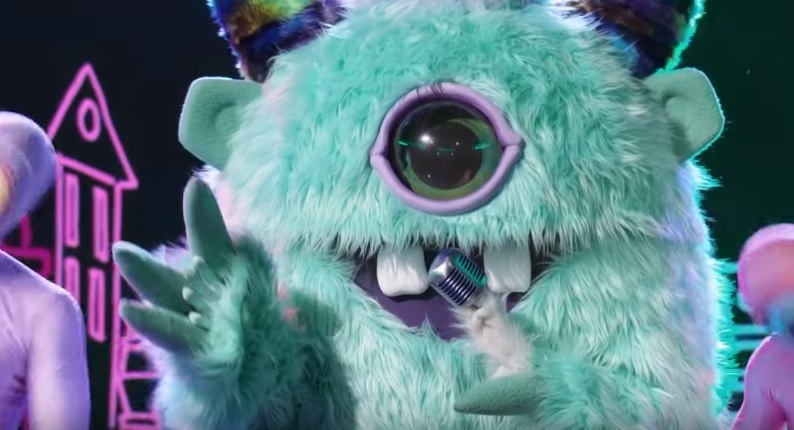 The Monster was one of the six remaining mystery celebrity singers who performed in “The Masked Singer” Season 1 episode 7 titled “All Together Now,” which aired on Fox on February 13, 2019. He competed against the Lion, the Alien, the Bee, the Rabbit and the Peacock. “All Together Now” marked the first time all remaining “The Masked Singer” contestants are together in one episode. As a guest judge, JB Smoove joined resident judges Ken Jeong, Jenny McCarthy, Nicole Scherzinger and Robin Thicke on the panel. “Being here has given me a chance to share my true voice with the world,” the Monster said before performing. He was wearing a revamped new costume with a star around his eye. The Monster was the first one to perform among the six contestants. He sang “I Love Rock ‘n’ Roll” by Joan Jett and the Blackhearts. “I Love Rock ‘n’ Roll” was originally written in 1975 by Alan Merrill of the Arrows who recorded the first released version. But it was the version recorded by Jett and her band released in 1982 that made the song famous. Thicke said the Monster sounded like a professional singer but could not recognize the voice. Scherzinger recalled that previous clues indicated that he could be a rapper but she suggested he could be a boxer. For McCarthy, the Monster could be Lil Jon. Thicke and Jeong thought the masked singer could be an African-American comic like Tommy Davidson.